Decorative Pillow (18” x 18”). 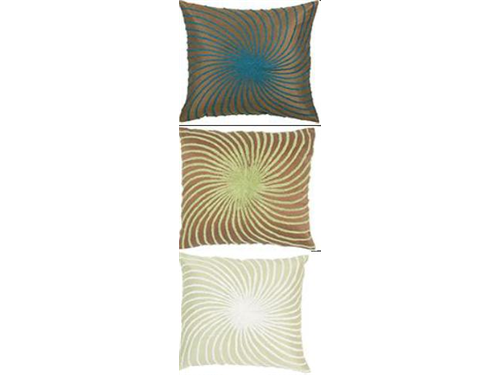 Available in 3 Asst Colors (Sage, Green & Peacock Blue). Cover is made of poly slub fabric with embroidered details, and has hidden zipper. <?xml:namespace prefix = o />Can supply breakdown of colors upon request.